Killed age 21 on the 9th of July 1942. 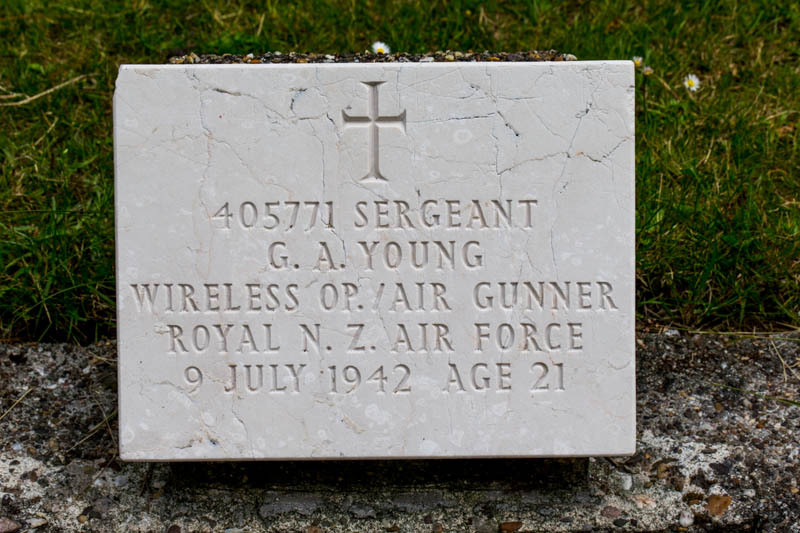 Son of George Young and of Johan Young Nee Oman), of Palmerston North, Wellington, New Zealand. Grave location – Grave 84. Killed age 28 on the 10th of September 1942. Son of Henry and Eleanor Bright Young, of Putney, London.